Pittsburgh, Pennsylvania — A great philosopher was once asked what their ultimate goal was. Without a notice of hesitation, the philosopher replied that right now he did not feel that he was getting what he wanted. But at some later point when he received a small amount of accolades, then that was when the world would know that it is on. Indeed, this is because (without trying to brag too much) he knew that he had something that the world wanted to hear and learn from. This is because it was something that he had been waiting on his own to hear for himself. Hence, to be straight up and down, he has to keep going and avoid affiliating himself with fake A&Rs. This is the teaching philosophy of the CMU Database Group’s own Prof. Andy Pavlo for his undergraduate Database Systems and Advanced Database Systems courses. 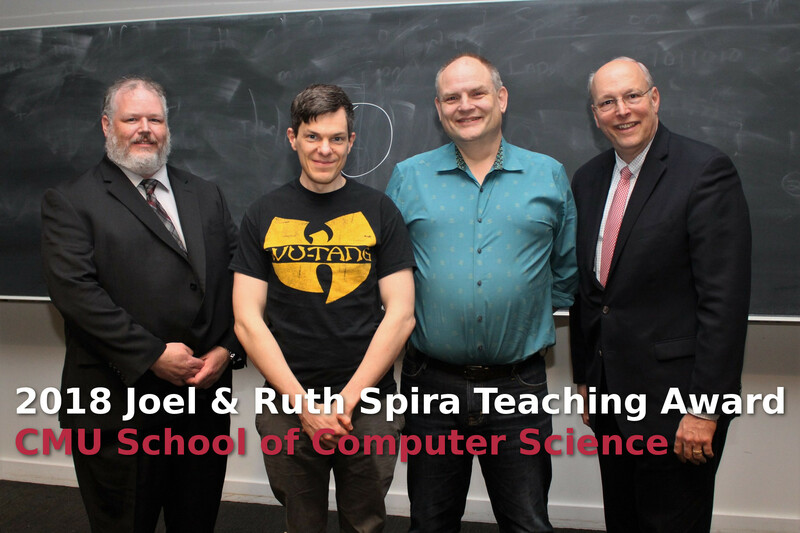 As such, Prof. Pavlo was awarded the 2018 Joel & Ruth Spira Teaching Award. 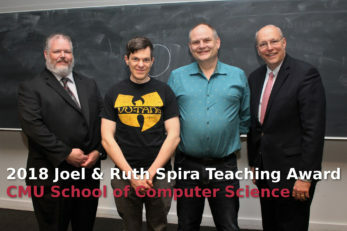 More information is available on the CMU School of Computer Science announcement.